The Standish Historical Depot Welcome Center in Standish, MI. was established by the Arenac Heritage Route Authority (AHRA). The Authority hosted their first annual Depot Days Festival on October 1st and 2nd, 2005at the Standish Depot. Past Depot Days attractions have included a carnival, musical entertainment, and vendors. Depot Days has also offered passenger train trips featuring the Pere Marquette 1225 (model for The Polar Express) steam engine and restored passenger cars from the Blue Water Chapter. A dedication and ribbon cutting ceremony was held on July 24, 2007 by MDOT. 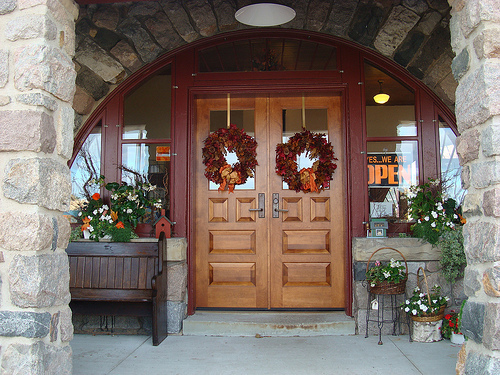 The Standish Historical Depot Welcome Center officially opened their doors to the public on October 1, 2007. On display and open to the public are two British Railway cars and an original Detroit & Mackinac 205 Caboose. Located inside the depot are railroad artifacts, depot memorabilia, local history and information for travelers to North East Michigan. The Depot is the beginning of the Heritage Route from Standish to Mackinaw City. We are here to welcome visitors to Arenac County, North East Michigan and to provide information for visitors traveling the "Sunrise Side" of our great state.